Family name returns to Gardena after 13-year hiatus. GARDENA — More than 13 years since Ishigo Bakery closed its doors, the family’s next generation is once again ready to serve the South Bay community. 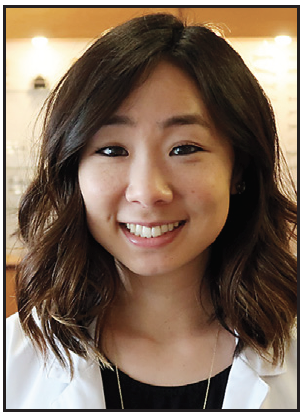 Dr. Amy Ishigo, a granddaughter of Ishigo Bakery’s owner and family matriarch, has taken over Yoshioka Optometry, with the purchase becoming official on Feb. 1. A graduate of UC Irvine and Western University of Health Sciences, Ishigo grew up in the San Fernando Valley but considers the South Bay her second home. She often spent weekends and holidays visiting relatives in Gardena, especially her grandmother at Ishigo Bakery. When first learning that Yoshioka Optometry was up for sale, Ishigo was hesitant to make an offer. However, a string of coincidences would make it an offer she couldn’t pass up. She learned that the Yoshiokas and the Ishigos are from the same small town on the Big Island of Hawaii, her Aunt Linda worked the front desk at Yoshioka Optometry, and her fiancée’s roommate is Dr. Yoshioka’s nephew. Taking them all as signs of fate, Ishigo felt she had to go for it. Now, with the keys to the business and her name on the door, Ishigo strives to deliver care with the same high standards that Dr. Yoshioka established and the friendliness and familiarity Ishigo Bakery was known for, all while building her own legacy in the community. Ishigo Optometry offers a full-suite of products and vision services, including comprehensive eye exams, retinal imaging, glasses, and contacts. It is located at 1425 W. Artesia Blvd., Suite 32 in Gardena. For more information, call (310) 769-1642 or visit https://www.yelp.com/biz/ishigo-optometry-gardena.